Page view compliments of Door to Door Dental, Inc. 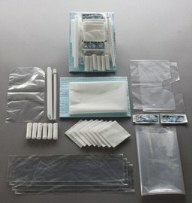 Custom Infection Control Kits are individual patient kits of disposable supplies for chairside use. The manufacturer pre-packages the most commonly used dental supplies in convenient, ready-to-use kits. Kits can contain bibs, disposable bib holders, cotton rolls and gauze, saliva ejectors, high-volume evacuator tips, light handle, mouse and keyboard covers, masks, handpiece and suction sleeves, air/water syringe tips, gowns and other products. Individual items can be wrapped in plastic to reduce the probability of cross contamination, or are available in one plastic bag. Standard kits are available. Practices that order 1000 or more kits have the ability to create custom kits to suit their needs. The manufacturer claims that a 1000 kits fits in an area about 48”x21”x20”. Cases of kits can be shipped every week, bi-weekly or monthly. Only the custom kits were evaluated. Custom Infection Control Kits were evaluated by 25 consultants in 426 uses. These kits received an 86% clinical rating. Dentists liked the concept of having all of their disposable items in one pre-packaged Custom Infection Control Kit. Each type of item in the bag was individually wrapped in plastic, but items are available loosely in one bag. Although consultants had the opportunity to customize their kits, they found that each procedure did not use the same number of items. In some cases, unused product was wasted. The ease of incorporating Custom Infection Control Kits into their practices varied among consultants. 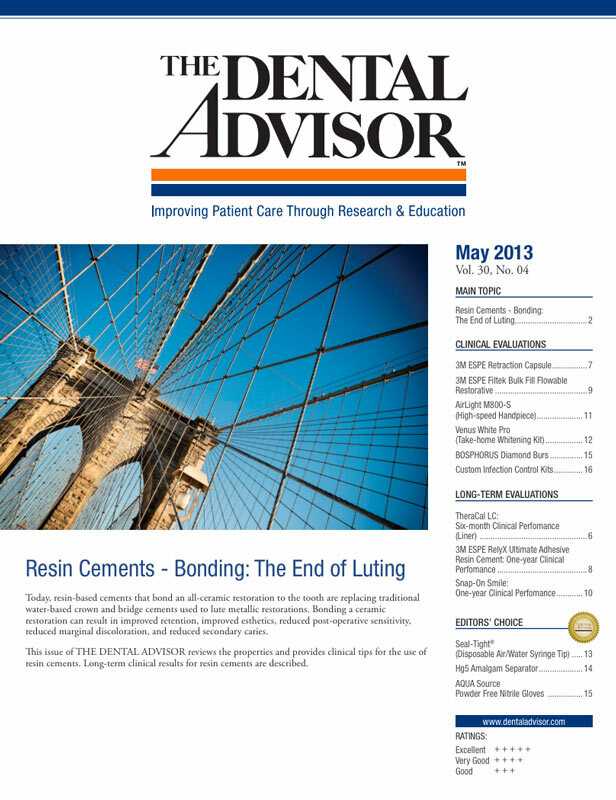 Dentists who did not use pre-set trays valued it more than those who did. Twenty-four percent of consultants rated Custom Infection Control Kits better than their current methods of organizing disposable items used in dental procedures and 24% rated the kits to be equivalent. Twenty-four percent would switch to Custom Infection Control Kits and 44% would recommend them to a colleague.